Filter by Standard Deluxe Ed. Special Ed. Steam Gift Collector Ed. BATTLETECH is a turn-based strategy game in which our armies will be made up of combat Mechs, imposing war robots armed to the teeth. 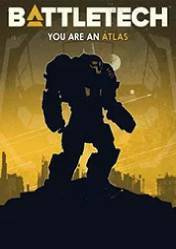 BATTLETECH places us in the year 3025, in a galaxy in constant warfare for centuries, between the different castes or nobleman's house that have combat units known as BattleMechs. We will be a mercenary destined to become rich in this contest by fulfilling missions and contracts, but to carry out all our mercenary missions we will have to take command of our own group of combat Mechs, and their respective pilots. As we gain combat, we will receive credits that we can use to improve our base of operations and expand their capabilities, such as negotiating more succulent contracts with feudal lords, repairing and maintaining our small BattleMechs army, as well as upgrading them with more weapons or new modules that will give them different skills. As we move forward, we can control up to 30 BattleMechs with a wide variety of combinations. Take advantage of the terrain, location, weapon selection and special skills, and we can even develop exclusive MechWarriors fully customized. Its quite Good game.But it just needs more than 8gigs of ram cause otherwise its going to Run really slooooooooooooow.But really sloooooooooow. Just wanna this so much... tells me about some old days in mechwarrior... and wow, its gonna run on my computer, if there is beliving in those reqs. For a turned based strategy game, this is amazing! I love the way the game feels and plays, the way it looks and the gameplay itself is great aswell!